This is a new take on ATM3 for 1.12! While we were working on the "6.0" update for ATM3, it became so large and expansive that it would break existing worlds and have a number of drastic changes for people familiar with the pack so far. 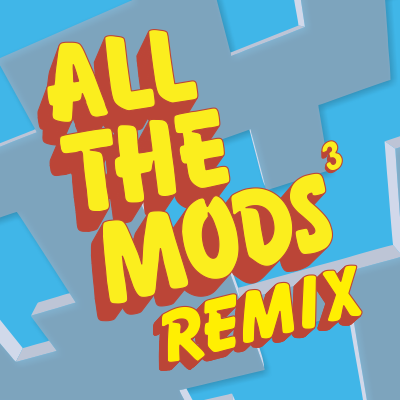 To make the transition easier on the players we have decided to split that planned update into it's own modpack that we're calling ATM3: Remix. We are eager to start developing a modpack based on 1.13 minecraft but until that's ready, ATM3:Remix is chance to have a fresh take on a 'kitchen-sink' pack with the well-established 1.12 modded offerings. ATM3:Remix will take over as the more actively-developed and update pack. We will continue to update the normal/legacy/classic ATM3 pack with bugfixes and content, just on a slower more "end-of-life" basis at least until the majority of the community has had a chance to finish playing their worlds without feeling abandoned. All the Mods started out as a private pack for just a few friends that turned into something others wanted to play! It has all the basics that most other "big name" packs include but with a nice mix of some of newer or lesser-known mods as well. Thaumcraft, Ender IO, Thermal Expansion for the big names and Bird's Foods, Traverse and FastWorkBench for the not as well known! In All the Mods 3: Remix we will continue the tradition of making the most stable and reliable pack we can that still adds as many new and unique mods alongside usual fan-favorites. Is it suitable to request some mods? If it is so, I would like to see Bewitchment in this pack. Is it possible? We've been watching bewitchment for a little while, main thing is waiting for somewhat of a stable version. Stable as in not alpha testing of major concepts of the mod. But it is something being considered. Why are Pam’s HarvestCraft and /dank/null not in ATM - Remix? Just curious. Pams is in almost all modpacks and can be laggy, so we wanted to show off some different mods that did food as well, and dank/null had some serious bugs with it that when talking to the dev, it was decided to just pull it for now until it was fixed and then re-evaluate at that time. Could Flux Networks (an amazing mod that lets you build wireless energy networks) and Cloche Call (lets you grow saplings in Immersive Engineering’s garden cloche [configurable and can be turned off] adds support for The Betweenlands, Rustic, and Natura crops in the cloche, and lets you squeeze some Rustic and Natura fruits and crops in IE’s squeezer) be added to the pack? That’d be great, as they are both fantastic mods! If growing trees in the cloche feels cheat-y, it can be turned off; Cloche Call’s other integration features are still super useful! We are more likely to see suggestions on our github page for the modpack. Just amkes things easier to see and track. But flux networks is a no due to a couple bugs and lag. Mainly bugs. I was going to post it on the pack’s GitHub issue tracker, but you don’t have an “Issues” button on this page, so I didn’t think there was a GitHub page for this pack. By the way, what’s buggy and laggy about Flux Networks? Just curious, as I might want to be adding the mod myself. Last time it was tested it had some bugs where you could get more rf out of it than what you put in. Also, it had issues dealing with the in world crafting with redstone with other mods (wizardry being one of them) Those may be fixed by this point, but there are other ways to transfer rf around that it wasn't felt that it was needed. You added Phosphor! Nice! It’s such a great mod, especially in the Twilight Forest! We will see. There have been a couple issues with the mod itself, so its a mixed bag so far for it. Extra Utilities 2’s angel ring has Baubles support by default now. Either that, or there’s another mod that gives it that. Either way, in the modpack I’m playing, the angel ring works as a bauble even though I don’t have the Angel Ring To Bauble mod installed. You might want to look into whether you can simply remove this mod. The less pointless mods, the better, right? Is it possible that you add Flux Networks to the Pack or is something similar already in the Pack?